Notifications are important! I can’t recall using an app that didn’t have notifications excluding, of course, those apps that don’t serve a purpose like these. 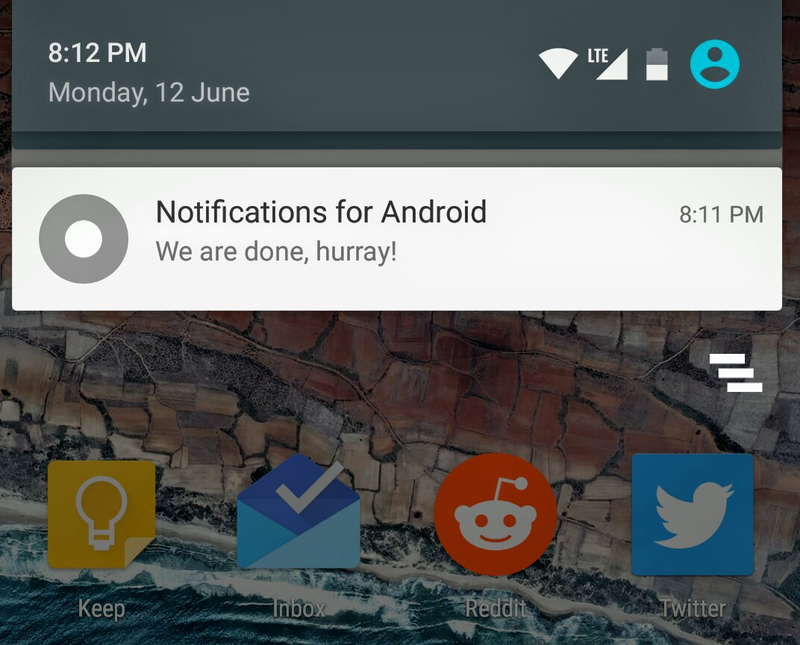 Notifications play a vital role in your app success. They give you a platform to reach out to your users, interact with them, give them updates, update the app data and much more. While notification is an important part of the whole app development process, it somehow is typical to integrate as compared to the normal android apis. The reason? Well, while normal apis need configuration inside the app only, notifications need more than that — outside configuration like handling user tokens, and sending notifications using those tokens. Okay, enough of fact checking. Let’s see how we can incorporate notifications in our app — handling tokens, sending them to the server, receiving notification data and showing them to users. We will assume you have a good understanding of common Android apis. We will use an example Android project, My Notifications App. Be sure to make changes wherever it’s required as per your application’s needs. To make notifications work, we first need to make sure our app can connect to internet. Adding Internet and Access Network State permissions to our manifest will give it the ability to connect to the internet. Enter the details and hit create project. Once done, a new window will pop up asking you to download the google-services.json file. Download the json file and put it inside your project’s app folder. FCM’s internal framework on Android uses this json file to validate your application as a registered application and thus generating token for every app user. Tap continue. Entering your application’s package name is a must since it’s the unique key firebase uses to verify your application’s tokens. You can optionally add a nickname for your app as well. While adding a signing certificate (SHA1) is optional it’s highly recommended that you add it. Register app and we’re done with the Firebase Console part. Next is application setup. Add the following to build.gradle (Module: app) and sync. This will add firebase messaging module to our app. Now we need to generate token using FirebaseInstanceIdService class and send it to the server to be stored. Create a new class InstanceIdService and extend it with FirebaseInstanceIdService. We now need to add a constructor and onTokenRefresh methods inside this class. We will take help of predefined tools in Android Studio. Click inside the class block and go to Code in the toolbar and select override methods. Select the desired methods and click ok. After the methods are added, we need to get the generated token everytime onTokenRefresh method is called by the framework. This will get us the token. And we can now send it to the our server and store it for further use. Tokens get refreshed every time an reinstall happens or app starts after app cache removal. Now, in order to attach a post body, we first need to get the connection’s outputstream and open a DataOutputStream to write our post body to the connection. Make sure you close the DataOutputStream after the write is done. We have used a token as the key for our token value. We will use this key on the server side to retrieve the token value. It’s time for us to handle the messages. Create a new class MessageReceiver and extend it with FirebaseMessagingService and add the constructor and onMessageReceived method. The latter handles the data you send from your server or Firebase Console. MessaginReceiver provides us with the notification data. The following example exracts the data sent from a remote server (where the tokens are stored). If you wish to send data from the Firebase Console instead, you need to get the title and message body by calling remoteMessage’s getNotification method. For a custom message to qualify as a Notification message, it’s mandatory to include notification key. If you are adding more data to notification message like icon or sound, you need to add files for them in you app. For icon, appIcon, appIcon.png should be added to the drawable folder. In case of sound, a sound file should reside inside raw folder. Data messages on the other hand are custom messages with custom data. onMessageReceived(…) is always invoked and app handles the data. Once the data is received using either methods, a simple notification can be shown to the user using the data. We need Notification and NotificationManager api to build and notify the user with the notification. The example above contains a pretty basic Notification builder with title and content text. The small icon is mandatory for building a notification so be sure to add a small icon. The NotificationManager class is a system service that takes in notification object and a unique d when the notification is tapped with the purpose to see more of the notification. It’s always a good idea to add a pending intent to your notification. The pending intent requires an intent to jump from the current state to the desired activity. Create a new Intent object and pass it to the Pending Intent along with Context, requestcode and Pending Intent flag. Here we use FLAG_UPDATE_CURRENT as we wish to update the already existing (if) pending intent with a new one. You can find more flags and their description here. Lastly, we need to update application’s manifest to reflect changes and FCM to work. We need to add both the classes (services) we just created to the manifest. We are done. 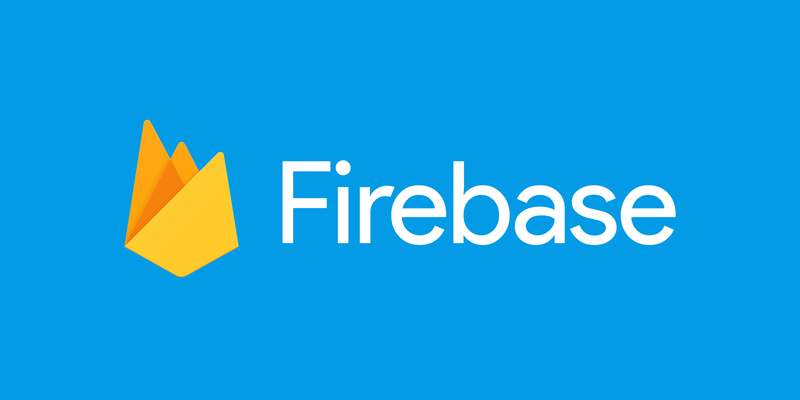 Run the app and go to Firebase Console > Notifications and opt to send a new message. Enter a message, select the app in the target section and in advanced section enter the title and send. You should be able to see a Notification like the one below. If not, go through the steps one more time and see where it went wrong. That’s our notification right there! That’s it. We can now use the Firebase Console to send notifications. If you need more control over what to send and whom to send, it’s better to send notifications using your own server. We have discussed about server side handling of tokens and sending notifications, both batch and topic wise here. Do share your issues in the comments section below. Note: This article was first published on Context Neutral. Do visit to find more relevant and updated articles on Android, Node.js, AWS and more.